In between two beautiful rivers, lies the deepest valley of Nepal, Tumlingtar. It is a city in Eastern Nepal which is in the midst of Arun and Sabha River. Tumlingtar takes you to a prominent religious site of Manakamana Temple. 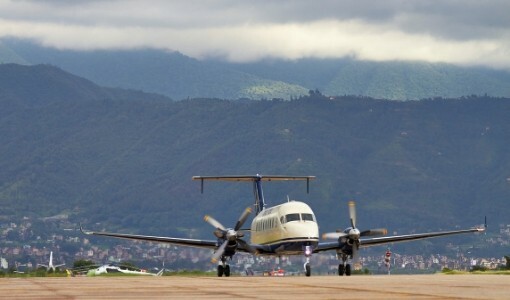 Moreover, Tumlingtar Airport is the main gateway to Makalu Trek. Makalu Barun National Park has a wide diversity of forest types, faunal species, butterflies and species of reptiles and amphibians. Tumlingtar also connects you to several other astonishing places such as Hile, Dhankuta and Dharan. It is the deepest valley with elevation of 285 meters. 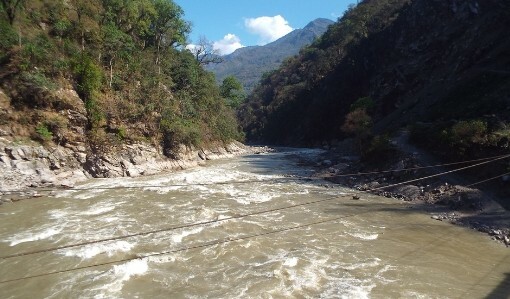 The Arun River system contains 84 varieties of fish. If you get the opportunity to get a window seat on a flight to Tumlingtar, keep your eyes glued to the window as you see Himalayas of Nepal rolling by your window. Above the clouds rest the majestic mountains that will follow you through the flight and you will manage to spot no less than five peaks including Everest. 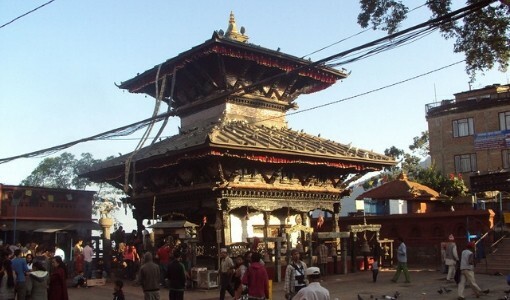 Tumlingtar, at first glance, resembles Kathmandu to a great extent. Lush forest surrounds the small valley with Arun and Sabah rivers flowing through the edges of the dale. While hiking up to the small island located in Tumlingtar, you will witness the spot where Arun and Sabha rivers meet to join Saptakoshi River. Tumlingtar is popular for the temple of Hindu Goddess Manakamana. It is situated 2.5km north from Tumlingtar Airport. Manakamana Temple is believed to fulfill the wishes of devotees. While on the top of the temple, you also get to enjoy the natural beauty of Nepal's Himalayas and see mountains like Manaslu, Annapurna and rivers like Trishuli and Marshyangdi. Tumlingtar is best known for local fish curry with Neuro Saag (a spinach variety). Enjoy dinner at a local place and ask for that! Do not to miss the local liquor, Tongba. Tongba is a millet based alcoholic drink found in the eastern mountainous regions of Nepal. Makalu Barun National Park and Conservation Area is situated in the Sankhuwasabha and Solukhumbu districts. The Park covers 2,330 sq. kms. This is the only protected area in Nepal that is designated as a Strict Nature Reserve. It has some of the richest and most unique pockets of plants and animals in Nepal. Other places unfortunately have been lost to the spread of human habitation. Over 400 species of birds have been sighted in the Makalu Barun area. This includes two species that have never seen before in Nepal; Spotted Wren Babbler and the Olive Ground Warbler. Wildlife includes the endangered Red Panda, Musk Deer, Himalayan Black Bear, Clouded Leopard and possibly Snow Leopard. In addition to these, there more substantial populations of Ghoral, Thar, Wild Boar, Barking Deer, Himalayan Marmot and Weasel, Common Langur Monkey and the Serow. Once used as a recruitment center for the Gurkhas soldiers, Dharan stands out as one of the most distinguishable city of Nepal. It is around a 3 hours drive from Tumlingtar. On the way you can also visit Hile. Hile is a calm and quiet place. From here, you can have panoramic views of the major peaks of Nepal such as Makalu, Lhotse, Kumbhakarna and Mt. Everest. Dharan lets you explore amazing things from sightseeing, shopping, food to picnic and hiking spots. A small hill station called Bhedetaar is located 20 minutes away from the main bazaar of Dharan. Delivering spectacular views of Dharan city, Bhedetaar is becoming a popular destination. Similarly, Char Kose Jhadi which lies between the way of Itahari and Dharan can be seen easily from here. Char Kose Jhadi is the largest and the most dense forest in Nepal. Explore Num village that is located 5 hours away from Tumlingtar. You will be welcomed by the majestic mountain ranges of Makalu and Lhotse. Num is known widely for its delicious lentils, spinach and the large cardamom farming. Num’s small hill-top town is the gateway to Makalu Barun National Park. Impossible to miss is the rhododendrons (Laaligurans) that colors the whole town in different shades of red. 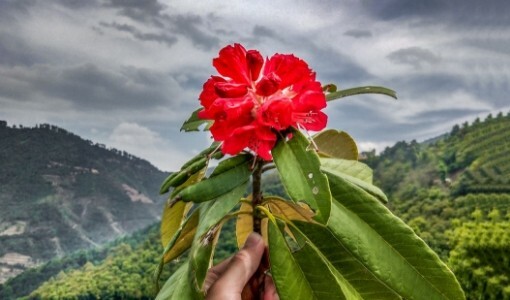 It is said that the village of Num along with other surrounding villages have been recorded of having up to 85 different kinds of Rhododendrons. Unfolding the history books about Nepal, Tumlingtar was known for the indigenous tribe of pot makers known as Kumal. 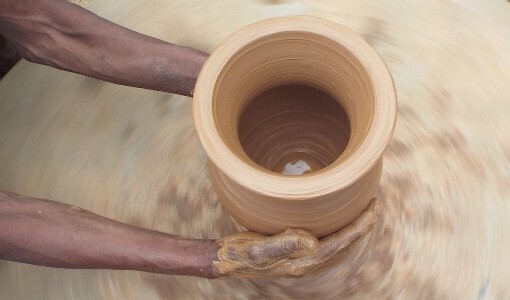 You can get a chance to sit in one of the pot-making classes offered by one of the traditional families who are still upholding their custom and tradition. If you are an adventurer, try to take a dip in the clean and crisp water of Sabha River and enjoy munching on local Asala fish accompanied by the local alcohol-Saruwa. Saruwa is made of millet and tastes very much like rice wine, but is sweeter and delicious. The indigenous tribe of Tumlingtar is Kumal. The other tribes are Bahun, Chhetri, Magar, Rai, Tamang and Majhi. People in Tumlingtar mostly speak Nepali, and respective ethnic groups speak their mother tongue. There are three major religions followed in Tumlingtar which are Hinduism, Buddhism and Christianity with greater density of Hindus. People live in villages which consists of small huts with thatched roofs. Generally, men wear pants and shirts and women wear saris and blouses. The people here are still engaged in pot making business. People in Tumlingtar celebrate festivals such as Dashain, Tihar and Losar with much pomp and joy. Buddha Air has daily flights from Tumlingtar to Kathmandu and weekly 3 flights from Tumlingtar to Biratnagar. The duration of Tumlingtar to Kathmandu flight is 35 minutes and Tumlingtar to Biratnagar flight is 20 minutes. A trip to Tumlingtar is unlike any other you will experience in Nepal. The glorious mountain views with amazing wildlife and natural experiences are memories you will cherish.